In case you missed the big news amid all of the Superbowl elation, our very own Rarebird is in the spotlight! 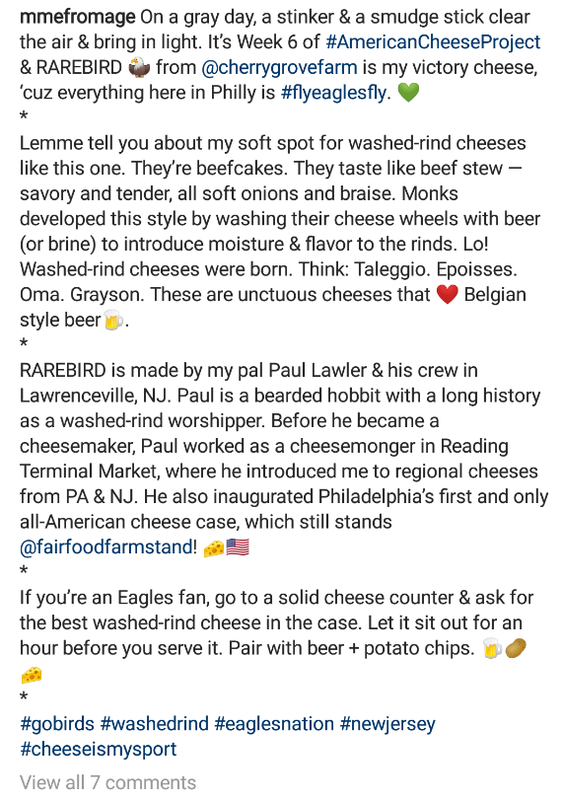 The wonderfully infamous and always delightful Madame Fromage featured Rarebird last week as part of her #AmericanCheeseProject! I’ll let her eloquence and thoughtfulness speak for itself in the snippet below. 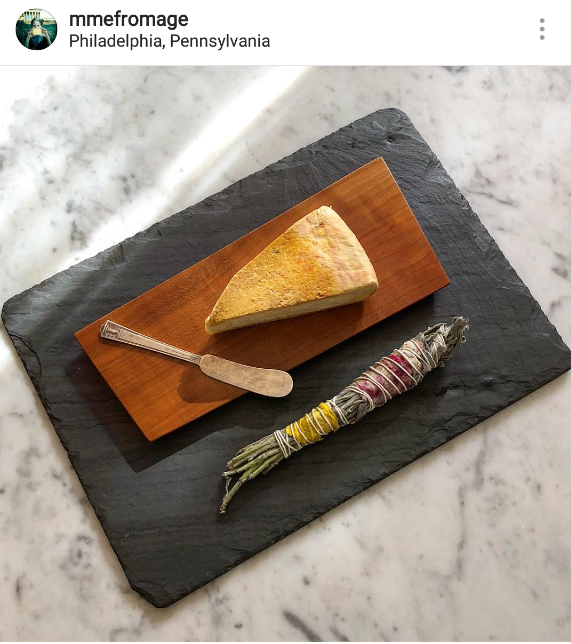 We’re honored and thrilled to be featured and we humbly thank Madame Fromage for the kind words. Anyone who describes cheese as “beefcakes” is a friend of ours, indeed. If you haven’t already, check out Madame Fromage’s blog, instagram, and numerous book publications. They’re fun, well written and informative. With that said: now is probably your last chance to get somma dis devilishly delicious funk-bomb batch of Rarebird for a couple weeks. Check the farm store! What else is on hand? Trilby: Everyone’s favorite boozy little stinker. The last of this small format cheese washed in Dad’s Hat delicious Rye Whiskey is in the store, then we have to wait a few months for the next batch. Big, bold, boozy, and complex. Pasteurized milk. Sugarcube (or batch 328): This experimental mixed rind with a line of ash through the middle is still available in limited amounts. Mooncakes! 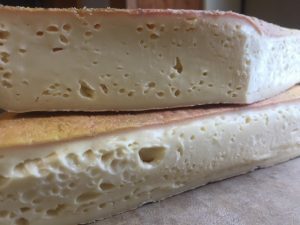 A super-ripe version of our Butercup Brie with an added dash of vegetable ash mixed with a delicate dusting of smoked paprika in the background. All the unctuous butteriness of our standard Buttercup with an intriguingly earthy, mushroomy, vegetal finish. Distinctly cave-y, mushroomy. Pasteurized milk. 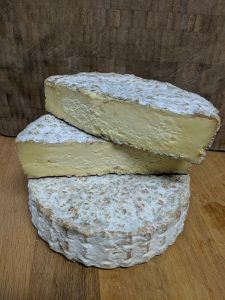 Buttercup Brie: Some powerful wheels from November are in the store, with notes of fresh hay, butter cooked oyster mushrooms and beef. Beautifully rumpled, very luxe and creamy with notes of buttermilk and creme fraiche. Pasteurized milk. 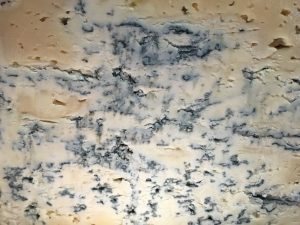 A limited amount of this mad fudgy, gorgonzola-esque blue, with mint garden and light mineral earthiness. Get it while it lasts. Raw milk. 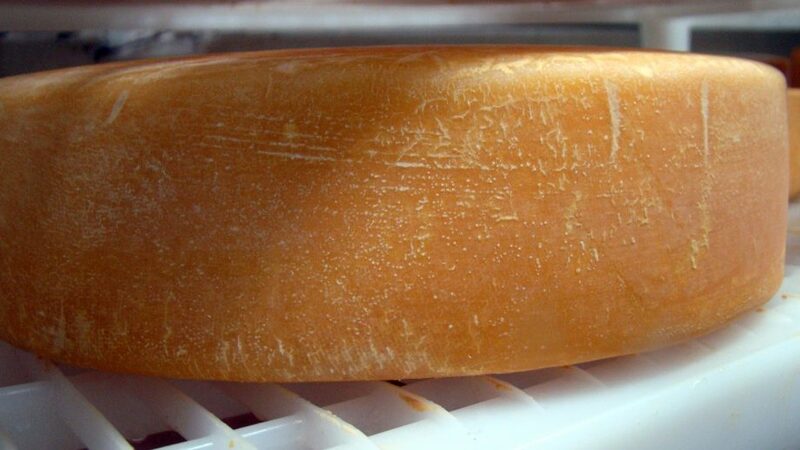 Very creamy, stone-fruit and lactic aromas, classic tomme flavors in what remians of this November batch. Notes of candied lemon and horseradish that remind some of tomme de savoie. Raw milk. August and Sept 2016 batches. Our rich and velvetty Havilah ages like a fine wine. 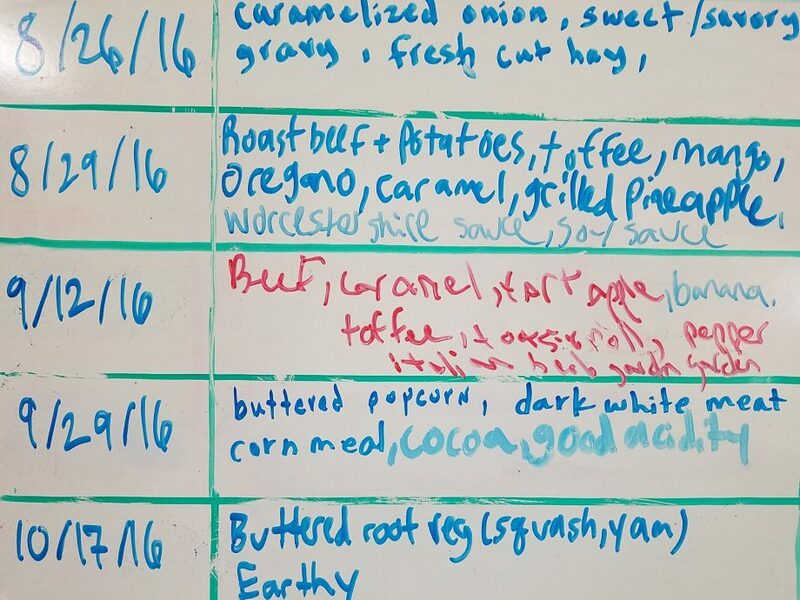 Current tasting notes include: butterscotch, broth, grass, caramelized onions, and of course, butter. Raw milk. REALLY nice October batch – the rind is that can’t miss melange of roasted nut flavors. Slight paste break-down underneath the beautiful sunset-hued rind. Endlessly snackable, crowd pleasing, with a pleasant lemony zip. Raw milk. Don’t forget tomorrow’s Evening of Cheese at the Cheesemakers Resource Conference, at 6 PM (Tuesday, Feb 13th). 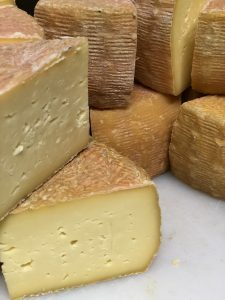 Chef/Buyers: If you want to taste the cheese and talk to an array of Midatlantic regional cheesemakers all in one room, this is the perfect event! Come hungry. 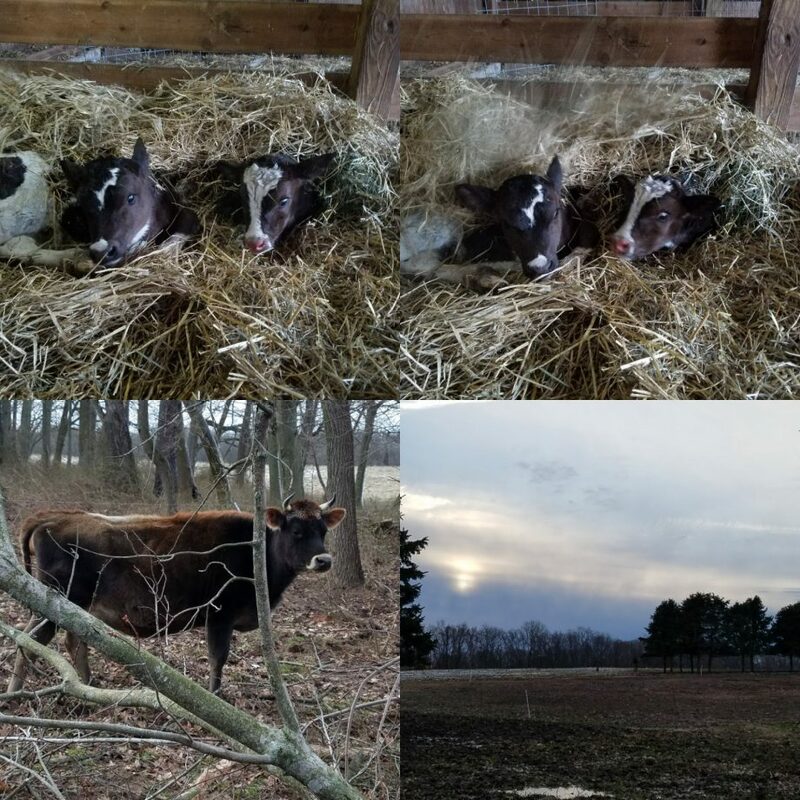 About an hour from Philly and right down the road from Stoudts brewing. 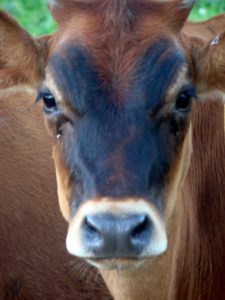 Kohlrabi the cow says to eat more cheese.! Hello, hello. Ho Ho Ho. Happy holidays. Its the countdown to Christmas (and New Years)! 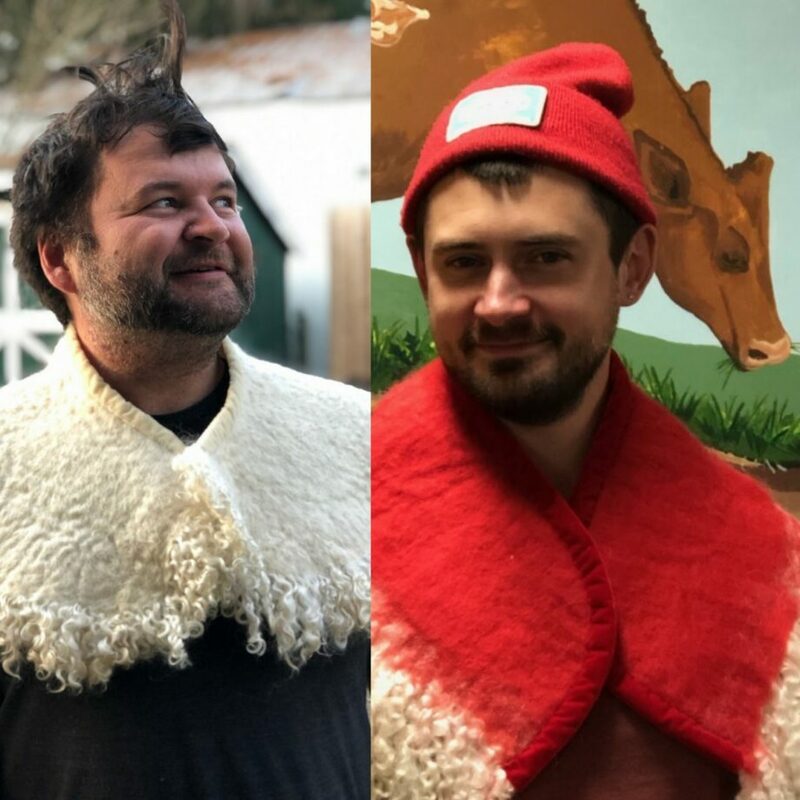 Hopefully, this finds you adequately egg-nogged and ready to face what is undoubtedly one of the busiest times of the year. But fret not, we have some deliciously special holiday offerings to share with you, your friends, and loved ones. Give a warm season’s greetings to the return of Rarebird and Bette Davis Eyes! 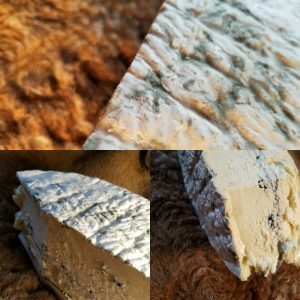 Rarebird: The cheese that definitely keeps on giving! First of all, the paste is unctuously buttery, it literally melts in your mouth. AND THE FLAVOR! Our tasting notes include everything from beef stock and mushrooms to shell fish and broccoli rabe. Every bite offers something different with flavors about as episodic as Star Wars. This is a beautifully complex batch that’ll go perfectly with everything Holiday. Raw. Buttercup Brie: The return of everyone’s favorite. Grassy, buttery, decadent! Why be nice when you can be naughty? Pasteurized. Mooncakes, Mooncakes, Mooncakes! A wilder, limited version of our Buttercup Brie. It features a smorgasbord of penicillium mold strains in addition to the pure-white that we’re accustomed to. PLUS, we’ve added a dash of vegetable ash mixed with a delicate dusting of smoked paprika in the background. What you’ve got here is the unctuous butteriness of our standard Buttercup, plus an intriguingly earthy, mushroomy, vegetal finish. Distinctly cavey-mushroomy, it’s like going spelunking in a cavern with pleasing mushrooms and sea of butter underneath you. Mhmmmm….sea of butter. Pasteurized. Similar to Herdsman but with a frat party, hoppy-edge from the lager used in the wash. Sharp n sweet, flaky texture. Late June milk, a lil slice of summer party. Raw Milk. This is a decidedly rustic blue. Did someone say Ovaltine?! Fudgy texture with a host of malty notes and overtones of earthiness and slate. This would be great partner to the dark beers of winter or a port wine. Try on a broiled cheesey toast with mushrooms and thyme. Available now in petite, personal-sized wheels made in late July. 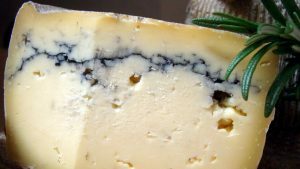 They’re dense and cheddary in texture, with that nutty, grassy tang that everyone loves about Herdsman. A little taste of summer to brighten up the impending chill. Notes of candied lemon and horseradish. Raw milk. This cheese just gets better and better over the years. Pictured below are some tasting notes from recent Official Tasting Panels. Raw Milk. Full Nettle Jack, Lawrenceville Jack, Jack Reserve, and what will likely be your only week chance at Abbruzze Jawn till May/June. HOOO HOOO HOOOO! Merry Christmas and Happy Jack. The rare and the illusive make a special Holiday appearance for one week (maybe two) only. Get them while you can for your holiday cheese plates, or you’ll start the new year full of regret. Raw Milk.